Whether your child is heading for their SATs, GCSEs or A levels, exam preparation can be stressful, overwhelming and just plain boring. With most exams occurring just as your child gains a little freedom, they can easily feel frustrated and unmotivated, preferring to be out with their friends or on their Xbox. But with the right tools, strategies and techniques your child can learn how to balance their work and play, study effectively and get the best grades they can without all the battles, stress or worry. This MP3/audio course has been designed for your teen or tween, to give them all the advice, help and strategies they need to make exam prep easy and effective. Sue will show them how to take control of their revision and remain cool, calm and collected throughout their exams. So they can get the grades they really deserve, without overwhelm, stress or anxiety getting in the way. 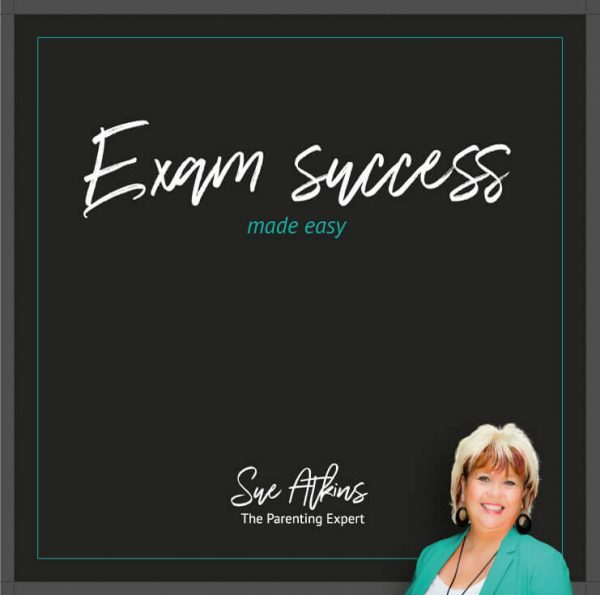 Over the last 25 years Sue Atkins has helped thousands of tweens and teens to learn how to manage exam stress and feel confident as they enter this important period of their life. 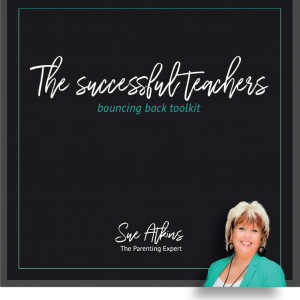 As The Parenting Expert, seen regularly on ITV’s This Morning, her positive, relaxed attitude helps your kids to relate to her as they learn and develop. They’ll love her stories, techniques and advice, giving them exactly what they need to make exam time hassle-free. Become a member and save 10% on all products in our shop. Simply click the button below to get started. 3. Success at your fingertips! 4. Tickling your brain buds! An online community for parents who want to be the best they can be & want to bring up happy, confident, resilient ‘Can Do Kids’. 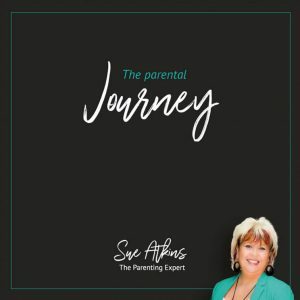 From toddler tantrums to troublesome teens, in The Sue Atkins Parenting Show we bare all and discuss every nitty gritty aspect of parenting. If you’re looking for practical tips, techniques and advice on the real issues that affect your daily life then you’re in the right place. There’s a new episode each week and it’s absolutely free! SAPS 116 – Fussy Eaters? Sue Joins Disney Junior UK for a Parenting Hacks Tea Party To Give You Her Top Tricks & Tips! 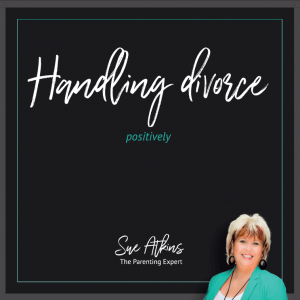 SAPS 115 – Why cooking up a happy step family is like a slow burning casserole! Simply fill in your details below to get instant access. Get your free checklist now: Are Your Kids Ready for Their First Pair Of Shoes? Get your free checklist now: Are We There Yet? Get my free download “The Positive Parent Daily Workout” and learn tips and tricks to use every day with your own children. Simply enter your details below to get your very own copy of “Parenting Made Easy – Navigating the Choppy Waters of the Teenage Years” and learn to relax at will, manage anxiety and anger, negotiate effectively and let go of issues and worries that needn’t concern you. On top of getting your free guide, you will receive exclusive content that you won't find anywhere else other than on my list. Not only that, but you'll be the first to access my new content, tools and offers.